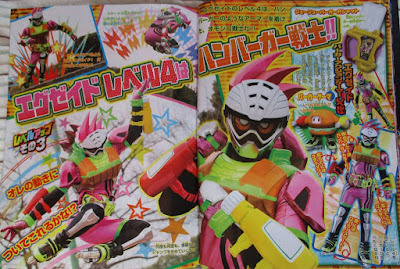 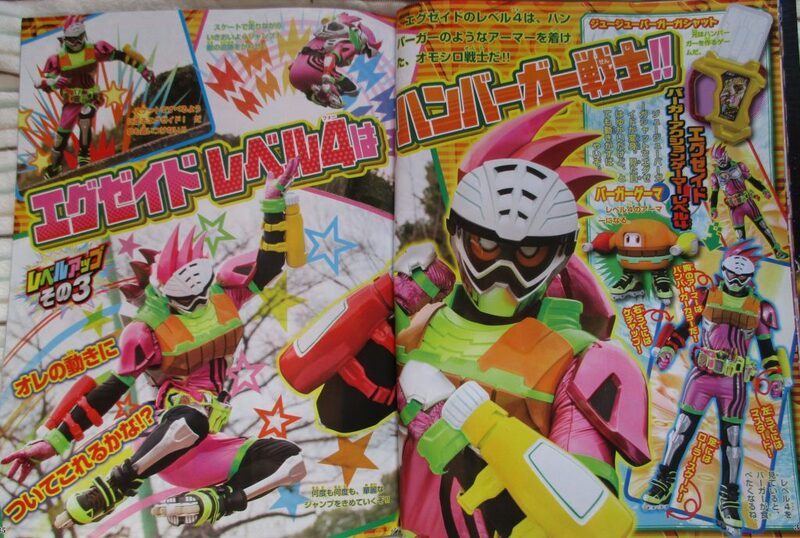 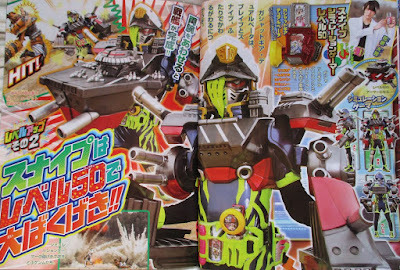 Here are the latest Kamen Rider EX-Aid Terebi Magazine scans featuring the upcoming Dual-up forms of Kamen Rider Brave and Snipe plus EX-Aid's Level 4 form. 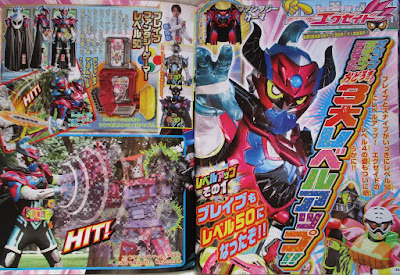 After acquiring the Gashat Gear Dual Beta that contains 2 games, Taddle Fantasy and Bang Bang Simulations, Brave will Dual-up into Kamen Rider Brave Fantasy Gamer Level 50. 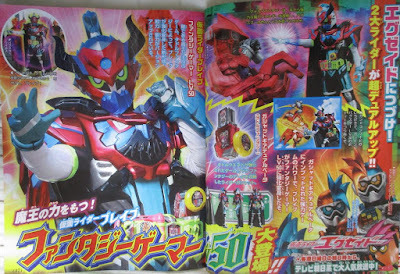 In this form, Brave's sword skills are increased and he can use magic on his opponents. Taiga will also use the new Gashat to Dual-up into Kamen Rider Snipe Simulation Gamer Level 50. 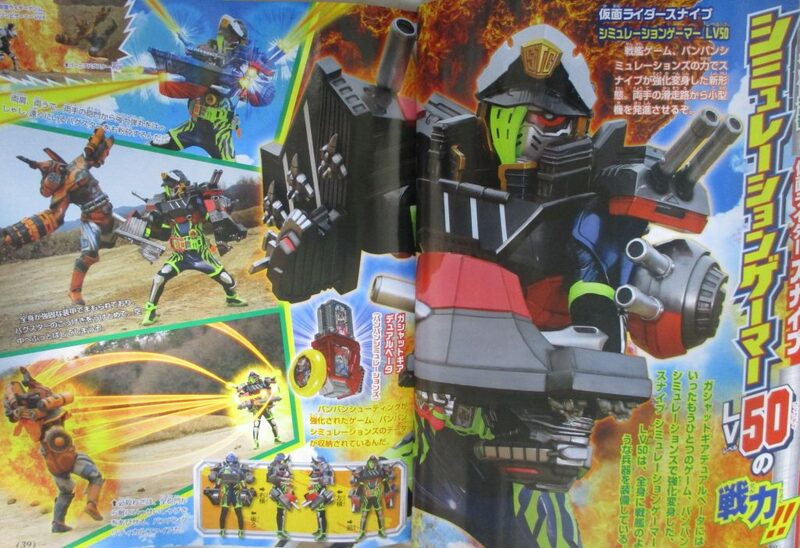 In this form, Snipe is armed to the teeth with multiple cannons! 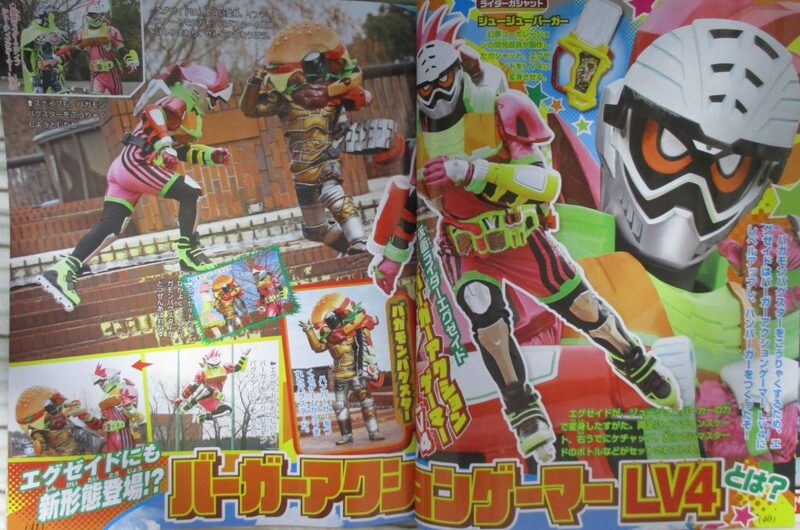 Lastly, Emu will obtain a new form using the Juju Burger Gashat and transform into Kamen Rider EX-Aid Burger Gamer Level 4 which will debut this coming sunday.